I came across this picture taken by my father, shortly before the cottage was demolished. I think it should have been preserved and the town planner demolished! The cottage in St Anns Wells Garden. That’s just how I remember Grasshopper Cottage in its last days. A very good photograph so thank you for letting us see it. Do know the year when it was taken? I was told it was demolished because it was suffering from “rot”. The same reason was given for the destruction of the old wooden café. Great photo, probably early 1960s? I’ve been trying to discover the exact position in St Ann’s Wells Gardens of the ‘glasshouse’ film studio that was built by G A Smith c1900. Thanks for that date Ron. I wonder if Harry took the photo because he knew of the coming disaster? There is a 1912 picture of the cottage in the ‘Postcards from a Bygone Age’ listed on the same St Ann’s Wells page as your photo. Interesting to see it did not change much over that time. David Fisher asks about G A Smith’s studios. 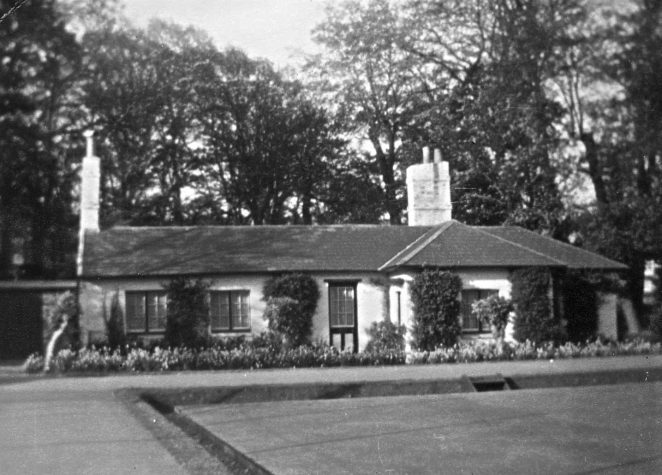 There are a lot of references to him if you Google the name, or under the Glass House Studio Hove, but basically at St Ann’s Well and Wild Garden in 1897 he turned the pump house into a space for developing and printing and in the grounds, not specified, he built a ‘glasshouse’ film studio.